LG has just unveiled the Optimus F7, a device that would easily pass for a flagship last year, and now goes in the mid-range segment. The LG Optimus F7 has a 4.7-inch True HD IPS display with a resolution of 720 x 1,280 pixels, working out to a retina-like 312ppi. The device is powered by a 1.5GHz dual-core processor paired along with a whopping 2GB of RAM, a fairly solid productivity package. Internal storage is 8GB but you can expand that with microSD cards of up to 32 gigs. The Optimus F7 features an 8-megapixel rear camera and it also has a 1.3-megapixel front-facing one, perfect for video conferencing. What’s especially impressive about the F7 however is its 2,540mAh battery that should provide plenty of juice. The device runs on Android 4.1.2 Jelly Bean out of the box and will launch across the globe and first in Europe at a yet unannounced time in the future. does it looks like s2 ???? mid ranged?? 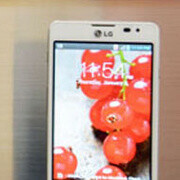 the only thing "mid" about this phone is the fact that its dual core and not quad! You mean upper mid range, PA.
Victor H is so fond of using that word "midrange" for most android dual core phones...what is midrange about this phone? the specs will easily smoke that useless galaxy siii mini samsung produced last yr....so now any phone without 1080p screen coupled with a quadcore processor will be regarded as midrange....Wake me up when the new iphone launching this year without those specs be called high end and praised all over.. If the two are Krait cores, I am sold! No flash for the camera what the hell wrong with you LG, any way, Hey HTC learn what a 4.7 inch screen phone size and battery should be. if you had it right on the One, myself and probably thousands out there , would have forgot the ZL and wouldn't even wait for the S4. It is not about just battery size that matter. The Nexus 4 has a 2300 mah battery but has less on screen time then the DNA and S3. Nice phone. Just curious if the battery is removeable. If it comes at a nice price then it could do well. Any idea on what exact processor is powering this phone? Just Picked This Phone Up From BOOST Mobile On Friday July 11, 2013 Pretty Sweet Dual Core Smartphone, Loving The 1280x720 Display(312ppi) Compared To My Previous Phones The LG Venice And HTC One SV There Screen Displays Pale In Comparison To My New Optimus F7!! !